We were very excited to get a press release from Marvel announcing that on July 23, Guardians of the Galaxy began filming. Guardians of the Galaxy will be the tenth Marvel Cinematic Universe movie, and one of the new "Phase Three" Marvel movies, aiming to expand the film series into space. I have to say I'm big into this movie, because it's a unique but relatively obscure comic. It's also the pathway to taking Marvel audiences cosmic, which will bring huge visuals and unique characters to the table. We'll have more about Guardians in an upcoming post, but here's the release. BURBANK, CALIF. (July 23, 2013) – “Guardians of the Galaxy,” the next epic adventure from Marvel Studios has started shooting at the UK’s Shepperton Studios. Directed by James Gunn (“Slither,”“Super”) from his screenplay, with a story by Nicole Perlman and Gunn, the film will introduce audiences to a whole new side of the Marvel Cinematic Universe. 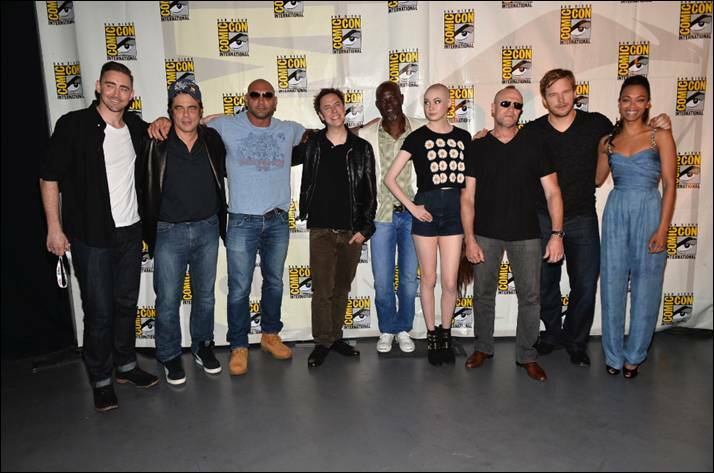 The all-star cast includes Chris Pratt (“Zero Dark Thirty”, “Moneyball”) as Peter Quill aka Star-Lord, Zoe Saldana (“Star Trek Into Darkness”, “Avatar”) as Gamora, Dave Bautista (“Riddick”) as Drax the Destroyer, Lee Pace (“The Hobbit,” “Lincoln”) as Ronan the Accuser, Michael Rooker (AMC’s “The Walking Dead”) as Yondu, Karen Gillan (BBC TV’s “Doctor Who”) as Nebula, two-time Academy Award® nominee Djimon Hounsou (“Amistad”, “Gladiator”) as Korath, with Academy Award® winner Benicio del Toro (“Traffic”) as The Collector, Academy Award® nominee John C. Reilly (“Chicago”) as Rhomann Dey, and six-time AcademyAward® nominee Glenn Close (“Albert Nobbs,” “Fatal Attraction”) as Nova Prime. 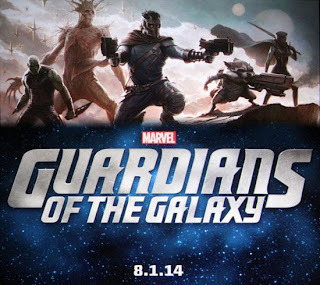 Marvel’s “Guardians of the Galaxy” is slated for an August 1, 2014 release in the U.S.
Marvel Entertainment, LLC, a wholly owned subsidiary of The Walt Disney Company, is one of the world's most prominent character-based entertainment companies, built on a proven library of over 8,000 characters featured in a variety of media over seventy years. Marvel utilizes its character franchises in entertainment, licensing and publishing. For more information, visit marvel.com. Are you excited about Guardians of the Galaxy? I am so excited for this movie. I have never read the comic, but it looks exciting and Karen Gillian is in it. She is just awesome. I can't wait. I think they are smart to expand to a space comic. You can only do so much on Earth, and Asgard will be cool to see again in the Thor movie. Is it a Prerequisite to shave your head when you leave Doctor Who now? I told someone at work about this film and they responded with "Who?" Not well known even among comic geeks but it's an interesting step. And taking it into space - well, I'm all for that! If they do it right, the studio could have another franchise on their hands. Definitely looking forward to it. I've not heard of this series, but the movie looks cool. That's such a good cast. In the most unlikely Marvel yet (even Mort the Dead Teenager would have made more sense).